One of the natural body care products that I have been using for years is Shea Butter. I love using Shea butter body cream in winter (it restores and nourishes my dry and flaky skin. Throughout the year I use shampoos and conditioners enriched with Shea butter since my hair is dry and need that extra nourishment. Shea butter has been used by Ghanian women for centuries to protect and nourish their skin, scalp and hair. It’s known for its moisturizing properties, it’s high in fatty acids and contains Vitamin A and E. I noticed that all my friends with African heritage use skin and body care products enriched with Shea butter to keep their skin soft and moisturized. There are many brands that use Shea butter but as far as I know, The Body Shop is one of a few big brands that uses handpicked and handcrafted one. 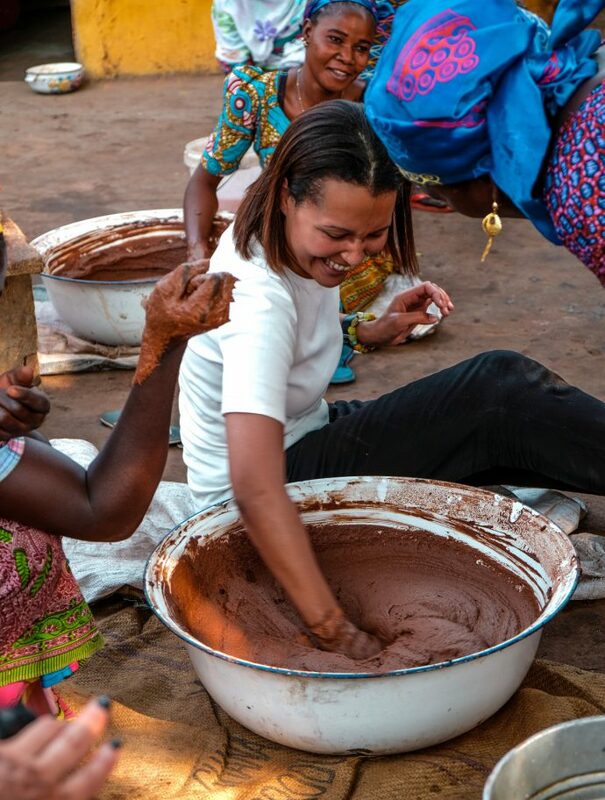 Processing Shea butter is a lengthy and physically demanding process. Only the nuts that fall from the tree are harvested and in total there are 18 steps to turn Shea nuts into Shea Butter. It’s important to note that the women themselves have decided themselves not to use any machines since it would reduce the quality of the final product. The Body Shop launched Community Trade in 1987. At that time, it was called „Trade Not Aid“ – trade could sustainably support and improve lives of those living in poverty. This year The Body Shop celebrates 25 years of Community Trade partnership with Tungteiya Women’s Association which covers its Shea butter needs. 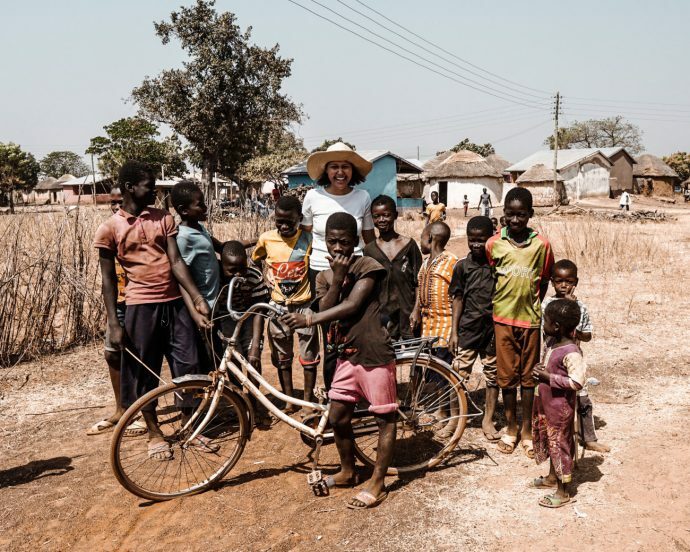 Over the years, the Association grew from 50 to more than 600 women from 11 communities near Tamale, Northern part of Ghana. Thanks to The Body Shop these women receive regular and fair wage, and they can now offer better opportunities to their children. Making their own money translates into empowerment, having a voice, being respected, and recognized for their contribution to the community. 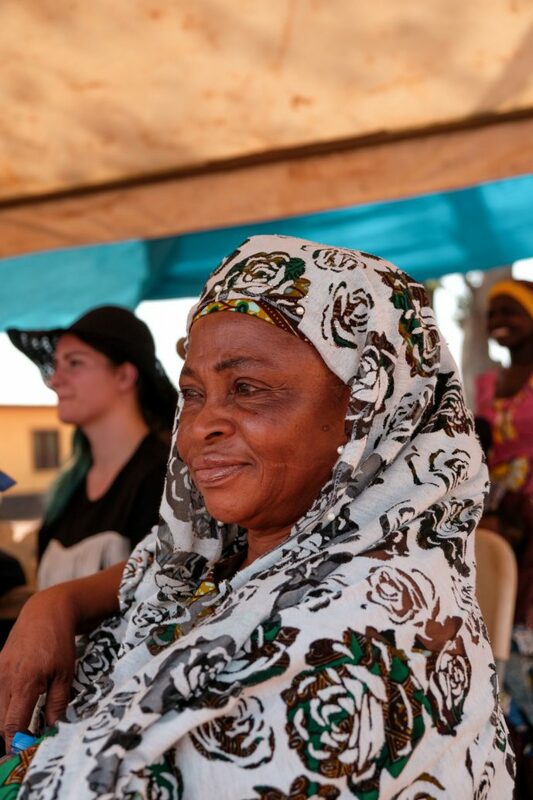 In addition to fair and regular wage, The Body Shop pays into a Premium fund which is managed by the women themselves through Northern Ghana Community Action Fund (NOGCAF). 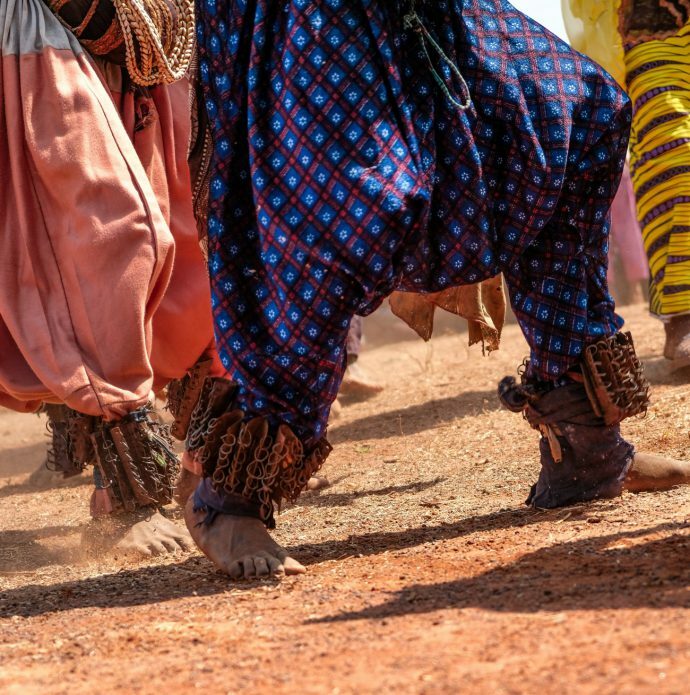 The premium is transparently and democratically invested into community projects (schools, access to health centers and clean water, sanitation, storage for the shea nuts, etc.). It has positively impacted lives of 49,000 people. There is a „she“ in every Shea. 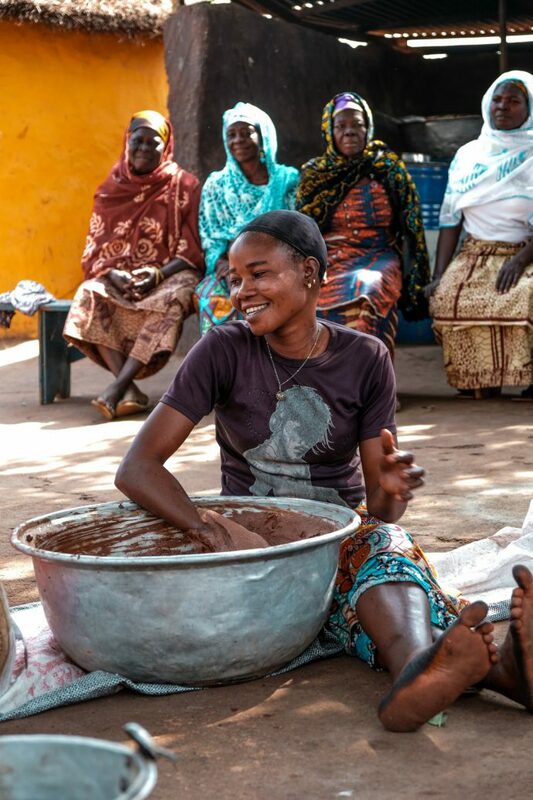 You can now buy 100% natural #communitytrade Shea butter (made of 192 shea nuts) in your local The Body Shop store (click HERE). It is a vegan and fragrance-free and can be used all over the body: face, lips, hands, feet, and hair. It’s perfect for dry, very dry and sensitive skin. My hair is dry and curly and using shampoo and conditioner enriched with Shea butter has changed them to the better. They are stronger, softer and less frizzy. 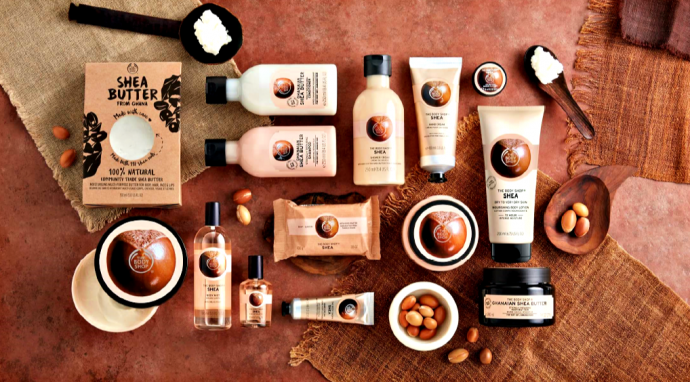 Instead of stopping there, the Body Shop has decided to improve their existing Shea Butter products. 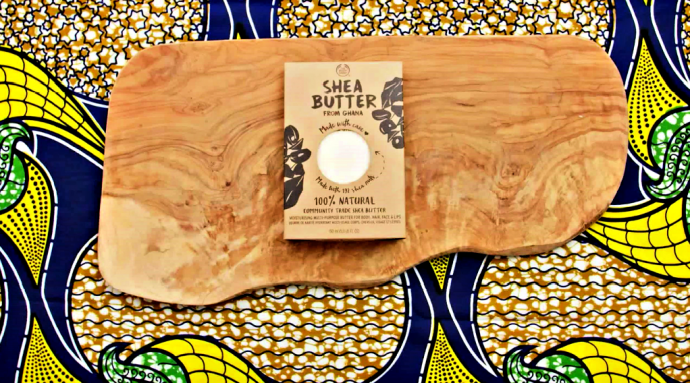 Besides being vegan, they now contain 30% more community trade Shea butter so that your skin and hair get better and longer lasting nourishment. For example the new Body Shop Shea Butter Body Butter and Body Lotion offer nourishment lasting up to 72 hours. I will always support projects and brands that believe in empowerment and equal opportunities for all women regardless of their social status, age or geolocation. And getting to know The Body Shop and their Community Trade better, makes me believe that we do have a chance to make this world the better place. Previous PostPrevious Valentine’s Day Gift Guide for Him – That He Will Love! wow this post was amazing!! love the photos just stunning !! Thanks for sharing this. Gonna buy more products from The Body Shop now! I totally agree, Sonja. I love to use it on my lips, body and also added a piece of natural Shea butter in my conditioner and my hair is so soft now. I am totally in love. Happy weekend and thank you for stopping by. Sounds like a nice product. Does everything have to have a social message? Enough already. I think it’s important that big brands also act consciously and give back. And yes, the Shea butter is very effective. I love the Body Shop shea butter!! So glad they do this!! I used rub Shea butter in my hair when I was in Senior High School and it gave me that darkened and bright appearance with a lot of admirers. It’s just perfect for hair and skin. Gosh, I had no idea what it took to make this, Miri. And we should support the companies that are working hard to help others like this. I haven’t tried the product before, but now I will have to. Thanks for telling their story. The Body Shop is such an amazing company. Thanks for sharing what’s behind their products. What a cool trip and thanks for sharing these pics. I’ve just bought the Shea butter body butter and I’m so pleased that as well as having a really nourishing and hydrating cream that I’m also contributing to a great cause!